Tomorrow Jack and I are braving the stores in search of a cookie jar! Our first guests of the holiday season arrive in less than two weeks and we are preparing by making cookies. And more cookies. And even more cookies! These chewy oatmeal chocolate chip cookies will be on the list of course. I’m a texture girl so these cookies hit me in just the right spot. The edges are crisp or almost crisp but only right at the edge. 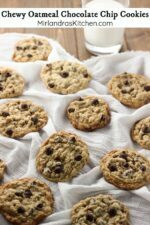 Then the cookie is chewy and the chew is full of the nutty oatmeal texture. I love it! Load up with some good quality chocolate and you are set to go! When you pick out chocolate chips for holiday baking make sure to read the ingredients. Most brands list sugar first and this means that you are paying for more sugar than chocolate. Not good. 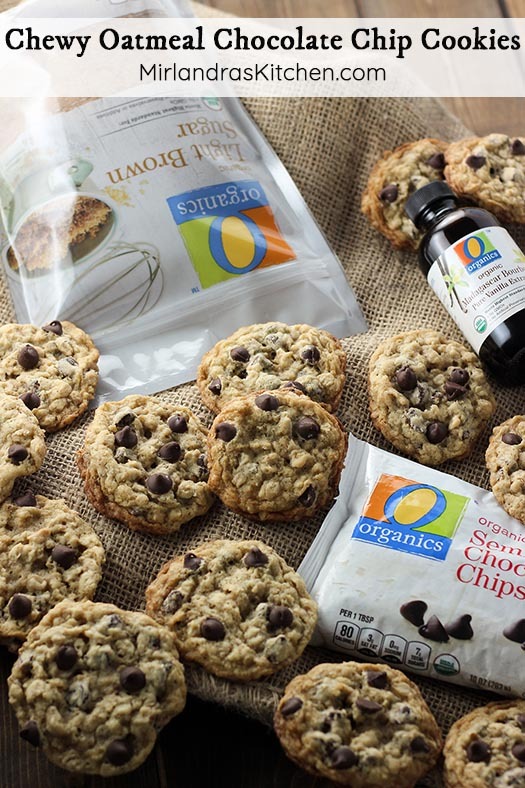 I picked up some O Organics® baking products to try for this post and was impressed with everything I got. The chocolate chips actually list chocolate as the first ingredient and they have great flavor. The vanilla and brown sugar were likewise delicious. These cookies use more brown sugar than white for a nice depth of flavor so a good quality sugar is important. A few weeks ago Albertsons invited me down to the Bay Area to spend two days in their test kitchen. I had an amazing time learning from their chefs, designers like Debi Lilly, and so many of the amazing people that work for the company. I have to say, when I meet SO many people that have worked for a company more than 30 years and still love it I’m seriously impressed! I thought I knew my local Albertsons brand pretty well but I learned a lot of new stuff while I was there. I came right home and headed down the street to check out my store with new eyes. I was impressed with how much of a one stop shop they are for holiday cooking, gifts, decorating and more! My biggest takeaway was that the floral section is amazing! The Albertsons team works with Debi Lilly to design beautiful and trendy collections of floral and home decor items at great prices each season. Be sure to check out the debi lilly design collection next time you are in the store. Did you know Albertsons offers grocery delivery?! While I was with the team, they sat me down to order a big cart of groceries for my family! I flew home late Wednesday night after eight long days on the road in New Orleans and then CA. Thursday morning the Albertsons truck had my groceries in my driveway with no effort. A sweet lady took them all the way to the kitchen and set them on the counter! I had never had groceries delivered before and it was an amazing experience! It was also not an expensive luxury like I had thought. Between work and family and keeping my toddler fed, read to, learning, and laughing sometimes groceries feel like the last thing I want to take care of. 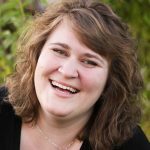 Grocery delivery opened my eyes to the opportunity to save time – a resource I can’t get more of anywhere. If you are feeling stressed this holiday season consider taking advantage of their delivery service to take the fuss off! You can even have flowers delivered with your food… If that isn’t a win I don’t know what is??? Want to try grocery delivery for yourself? Albertsons offered me a special deal just for you guys! Between now and January 14th you can get $25 off + Free Delivery for any order of $100 or more! Just enter the code SEASONSEATINGS at checkout. Happy grocery delivery to you! So cookies anyone? I bet if you have the groceries delivered you even have time to make them yourself! 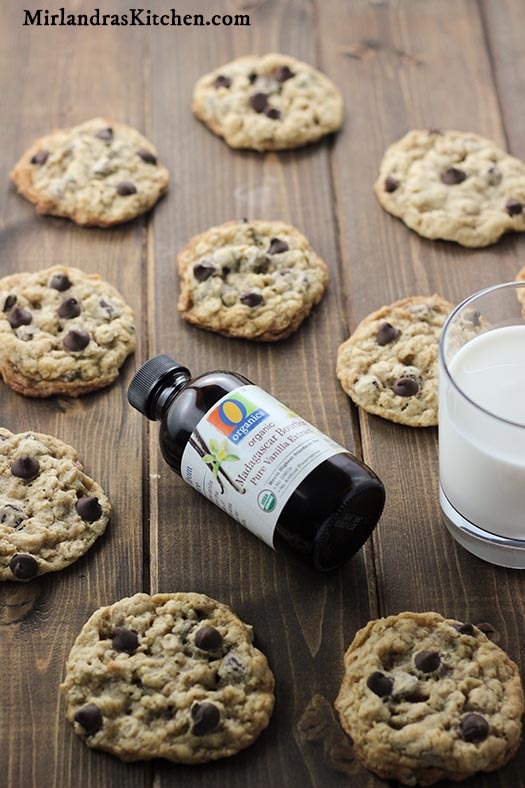 O Organics products are available in my area exclusively at Albertsons but they can also be found in the entire Albertsons Companies family of stores. I shop at Albertsons here in Boise and at Safeway when I’m in Oregon visiting my family. In your area the stores may be under one of these names: ACME Markets, Jewel-Osco, Vons, Pavilions, Randalls, Tom Thumb, Shaw’s, Star Market, United Express, United and Carrs/Safeway. 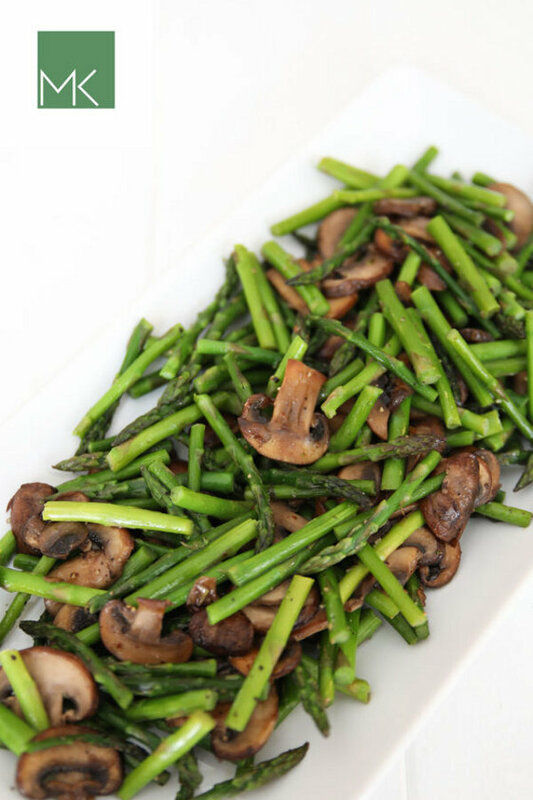 You can visit Albertsons.com to find a store near you and to get more great recipes like this. Tools In This Post: In the last five years I’ve become quite attached to my SideSwipe attachment. It is my go to for making cookies instead of the paddle and usually means I don’t have to scrape the bowl down at all. If you are a regular baker this is a worthwhile tool to pick up. Can’t get enough cookies? 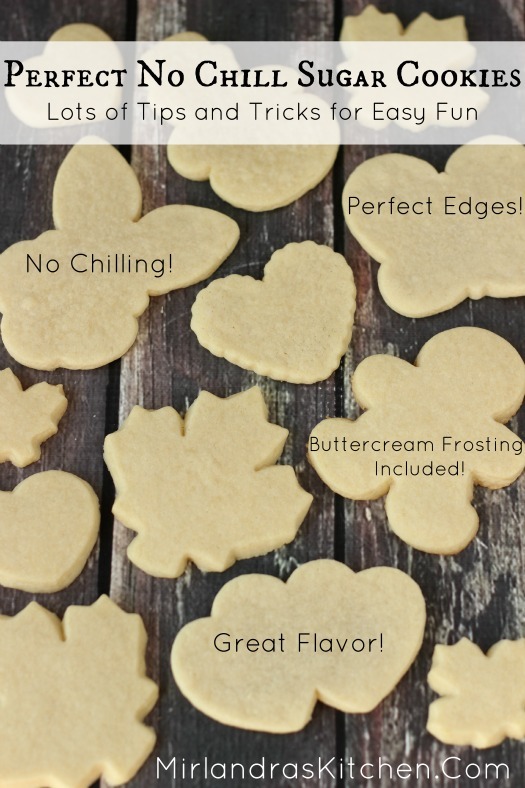 Don’t miss my super simple Perfect No Chill Sugar Cookies. They are a cinch to make and you can’t beat the flavor! In a stand mixer fitted with the paddle attachment, beat butter, sugar, and brown sugar on high for one minute. Add eggs and vanilla then beat again until smooth, scrape bowl as needed. Add the flour, baking soda, salt, and oatmeal. Beat on medium speed until mixed. Scrape bowl as needed. Add chocolate chips and beat on low just until mixed. Line cookie sheets with parchment paper.